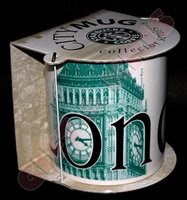 My cousin in law, Leleth, went here to the Philippines and got me this citymug from London. Wheee! It's so amazing how a cousin in law can care enough to get me one since she knows it will make me really happy more than my actual older sister. Lol. So this is another add on to my hopefully growing collection of citymugs. Thanks cuz! That's a nice addition to your collection. BTW, I have an award for you on my blog.